Questions about the legality of Gov. 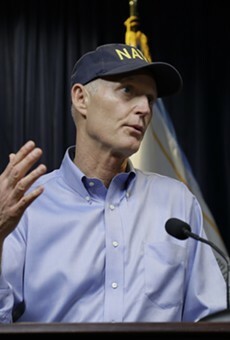 Rick Scott's emergency efforts to assist thousands of Puerto Ricans arriving from the storm-ravaged island appear to have been tempered by the governor's office saying the state expects full federal reimbursement. 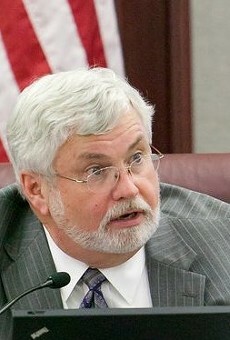 Senate Appropriations Chairman Jack Latvala, R-Clearwater, said Wednesday lawmakers don't want to reduce relief options. 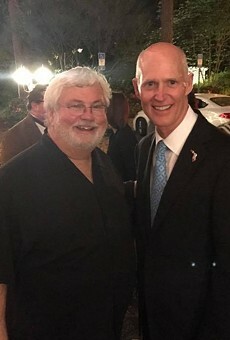 But as questions arose over the constitutionality of an Oct. 2 Scott executive order about Hurricane Maria — a storm that didn't directly impact Florida — Latvala said he'd prefer the governor's office coordinate future spending with lawmakers as the state braces for a continuing influx of evacuees. Cynthia Kelly, director of Scott's Office of Policy and Budget, told the Appropriations Committee that no state dollars have been appropriated other than what was in Scott's Oct. 2 executive order declaring a state of emergency. Kelly said 100 percent of the money spent will be reimbursed through a “host state agreement,” with the Federal Emergency Management Agency. 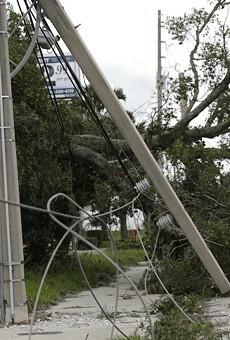 Wesley Maul, Scott's recently elevated interim director of the Florida Division of Emergency Management, said the state has spent about $740,000, mostly through “overhead” for disaster-relief centers at Orlando International Airport, Miami International Airport and PortMiami, that are handling about 1,000 evacuees a day. In declaring a state of emergency Oct. 2 in anticipation of ripples from the humanitarian crisis in Puerto Rico after Maria, Scott directed that public shelters be made available at the request of local emergency-management officials and that pharmacists be allowed to dispense up to 30-day emergency supplies of prescriptions to evacuees. 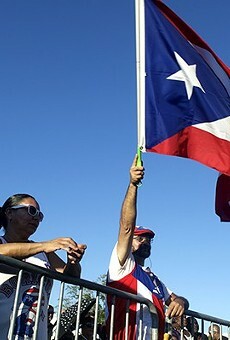 Regulations have been lifted for students from Puerto Rico entering public schools in Florida. The state also waived out-of-state tuition for college students from Puerto Rico entering state universities. The order allows “sufficient funds” to be made available from unappropriated surplus funds and the state's Budget Stabilization Fund. 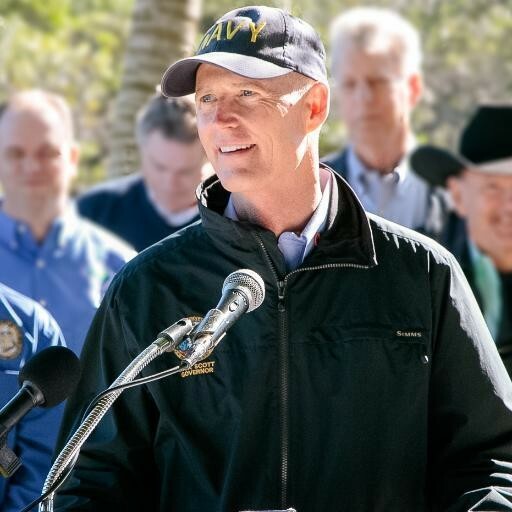 “The crisis in Puerto Rico is unlike anything we have seen before, and Florida is going to do everything in our power to help everyone impacted by this storm get back on their feet,” Scott said in a prepared statement with the state of emergency executive order. On Tuesday, Sen. Bill Galvano, a Bradenton Republican poised to become Senate president after the 2018 elections, questioned if the “disaster relief centers” exceeded Scott's constitutional authority. Latvala said the authorization for the centers, without legislative input, has “raised red flags,” from Senate staff. The state is also looking at the need to provide housing for incoming Puerto Ricans. Sen. Victor Torres, an Orlando Democrat who has traveled to Puerto Rico during the past three weeks, said the state needs to limit a practice known as “sweeping” money from housing trust funds next fiscal year. Under the practice, lawmakers “sweep” money that was intended to be used for housing programs and use it for other state expenses. Education Commissioner Pam Stewart said the state has delayed from mid-October until Dec. 21 releasing a count of student enrollment — at the request of 11 school districts and 20 charter schools. The count is used in determining funding for school districts. While there is no projection on the number of evacuated students who eventually may enter school districts, as of Oct. 19 there had been an influx of 3,066 students from Puerto Rico and 4,074 from the U.S. Virgin Islands due to Maria.